Hello Dolly Bars, with sweetened condensed milk, are one of the best desserts out there. 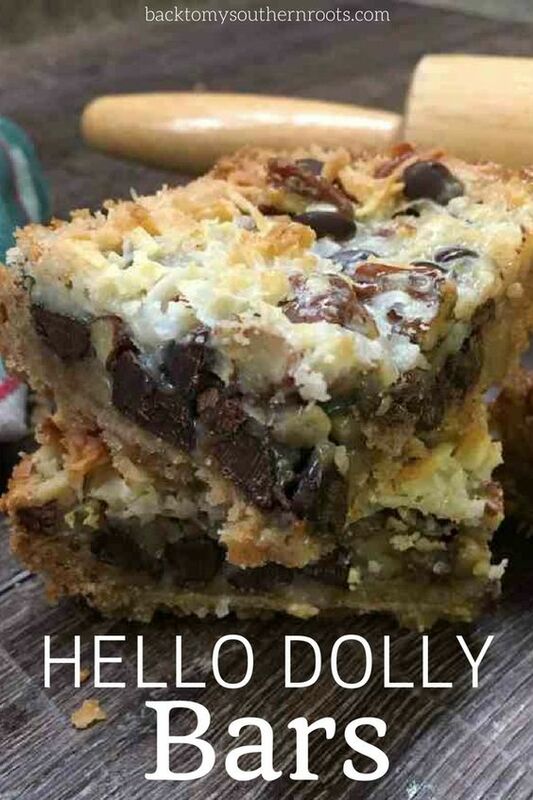 I love this recipe for Hello Dolly cookie bars, and people will be lining up to get one! Hello Dolly Bars, with sweetened condensed milk, are one of the best desserts out there. 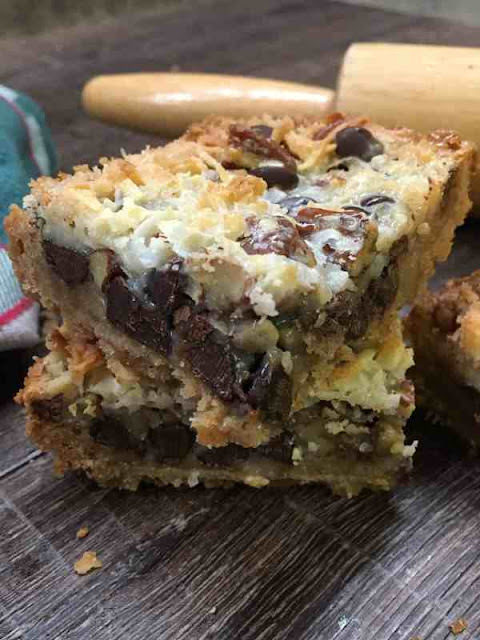 I love this recipe for Hello Dolly cookie bars (also known as Magic Bars), and people will be lining up to get one! The bar consists of a graham cracker crust, shredded coconut, chocolate chips, pecans, and sweetened condensed milk. Line a 9" x 9" casserole dish with tin foil. Spray the tin foil with non stick spray. Crush the graham crackers in a bag and add the 2 cups to a bowl. Pour into the casserole dish and press down with your hand. Sprinkle the pecans on top. Pour the can of sweetened condensed milk on top. Bake for 25-30 minutes, or until the edges are golden. 0 Response to "How to Make Hello Dolly Bars"